So another great weekend was had by all as the Ultimate team ventured to Cheshire Outdoors for a day of Segwaying, Archery, Clay Pigeon-Shooting, Air Rifle shooting and a phenomenal bird of prey display and demonstration, where we had the privilege to get up close and personal with a selection of their finest birds. 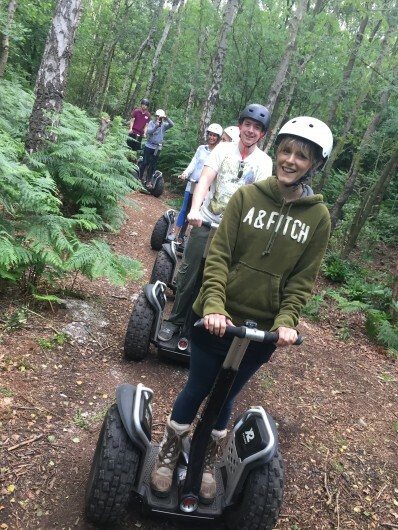 The day was a tremendous hit for everyone, not mentioning a certain team member managing to fall off their Segway not once, twice but three times. Mentioning no names! Our TUSC events are a great way that we demonstrate our company ethos ‘Enjoy Life, Do Great Work’. A big thanks to everyone at Cheshire Outdoors who made our day not only immensely enjoyable but fly by (pardon the pun! ).